Tenants have to be at least 25 years old, in full time employment and have a good credit history. Usually our landlords don’t accept pets but there are occasional exceptions. If you see a property you would like to apply for please contact the office. All tenants are required by law to provide appropriate photo ID.  We shall require an employer’s reference and also an existing landlord’s reference if you are already in rented accommodation and we shall also carry out a credit check. In addition we shall request sight of three month’s bank statements and three month’s pay slips. When the property is first reserved we shall require an administration fee of £210 to include all tenants for carrying out the above. Should a guarantor be required the administration fee is increased by £10. There are no other fees involved during the course of the tenancy. Provided everything is in order we shall prepare a tenancy agreement, usually for six months. Unless specifically requested we do not renew tenancy agreements but instead allow them to become Periodic Statutory Tenancies with no end date. The tenancy can then be terminated at any time by giving just one month’s notice on the part of the tenant and two month’s notice on the part of the landlord, both subject to the usual statutory provisions. We shall also prepare a comprehensive written inventory for your approval and signature and will also take a comprehensive set of dated photographs which we shall supply to you on a disc. Before the commencement of the tenancy we shall require cleared funds for one month’s rent and a bond which is usually a month’s rent plus £150.  If we are managing the property we shall register the bond with the Tenancy Deposit Scheme and also on ‘tenant find only’ tenancies should the landlord request it.